If you are worried about the coming wave of drone surveillance technology, stealth wear is the right thing for you. 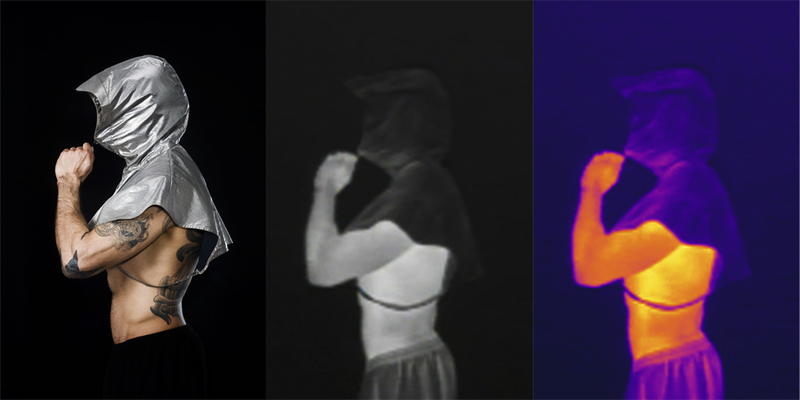 Adam Harvey developed the “Anti Drone Hoodie” to make yourself invisible to thermal cameras attached to drones. He has even more designs, which are actually quite fashionable. They work by using “highly metallized fibers” to shield heat from getting outside. Thus, thermal cameras, which detect heat at certain wave lengths, cannot pick you up. Unfortunately, most drones for non-military use currently work with usual color cameras where this protection does not help. But it definitely is a nice geek accessory. And it looks good too! Starting from March, Facebook might track all mobile users Is the UK Becoming a Surveillance State?